The driver and sole occupant of the commercial vehicle, Art Patterson, of Arran-Elderslie, was pronounced deceased. OPP officers, paramedics, and the Brockton fire department responded to the crash just before 1:00 o’clock on Concession 10 of Brant, in the Municipality of Brockton. One person is dead following a single-vehicle crash in the Municipality of Brockton. The OPP have confirmed that shortly before 1 p.m. on Tuesday, officers responded to the crash on Concession 10 Brant between Side Road 20 and Side Road 25. Police arrived to assist Bruce County Paramedics and the Brockton Fire Department. The lone occupant in the commercial vehicle was pronounced dead at the scene. The identity of the victim is being withheld pending notification of next of kin. The OPP Technical Traffic Collision Investigators remained at the scene early Tuesday evening to investigate the cause of the crash. The Ministry of Labour was also notified. Every year, the Power Workers’ Union (PWU) is proud to acknowledge PWU members and retirees who are involved in volunteer work on the job and in our communities. You can help us by filling out the attached form, nominating a PWU member or retiree who you feel deserves recognition for volunteering his or her time and energy to the benefit of people in their community. The information gathered will also help us to assess our Union’s support of the many teams, groups, committees and organizations in which our members are involved. The PWU Volunteer Award Selection Committee will then select one member from each Sector and one member from the Retired Workers’ Chapter who have done an outstanding job of volunteering in his or her community. The Committee has developed selection criteria and will review each nominee’s submission for organizations served, hours and years spent as well as their impact on people affected by their tireless work. During the Council of Chief Stewards at the end of September, the PWU President will present this year’s outstanding PWU Community Volunteers with a PWU jacket, a Certificate of Thanks and a cheque for $1000.00 made payable to the charity of their choice. Recipients will also be invited to attend, with a guest, the Council of Chief Stewards Dinner and Dance on Thursday, September 26, 2019. Their achievements will also be recognized on the PWU.ca website so that their actions may encourage other PWU members to volunteer and help improve their communities. Please show your spirit and nominate a deserving member by filling out the attached nomination form. Nominations close on August 2, 2019. This entry was posted in Uncategorized on April 4, 2019 by greybrucelabour. WHAT LISA THOMSON AND THE FORD CONSERVATIVES DON’T WANT US TO KNOW ABOUT THEIR VERSION OF “RESILIENCE”. On March 20, 2019 Lisa Thompson defended her proposal to increase class sizes in Ontario Secondary Schools as a mechanism to help students build resiliency and coping skills they will need to succeed in tomorrow’s jobs. “Build Resiliency? !” You know what helps students to build resilience? Meaningful constructive relationships with caring adults. You know WHY today’s children often struggle with resilience? LACK of meaningful constructive relationships with adults. WHY? Because many parents are working longer hours for less money (adjusted for inflation and cost of living) than they have in previous generations. Because we have become a 24/7 world and the opportunities for 9-5 Monday-Friday jobs are disappearing. Minimum wage is not enough to clothe, feed and house a family—so many parents work two jobs. More and more, teachers and educators have become a meaningful constant for children of these parents—the parents who are simply trying to survive—the parents who voted for Ford because he PROMISED to make their lives better. Children are products of their environment. The idea that diminishing a child’s environment will improve the child (or make them into resilient adults with appropriate coping skills) is illogical at best. Andrea Horwath compared Thompson’s comments to the hunger games, and with good reason. Think about that for a second. Let’s say tomorrow someone took away your right to access food. What would you do? Starve or fight to steal someone else’s? Would either option make you more resilient? NO! You would either be hungry, injured or dead. Quality, inclusive education is a basic right in this country. Our children should not be expected to fight for it in overcrowded classrooms. If the Ford conservatives want our students to be more prepared for tomorrows jobs, then they need to address the changes they are attempting to make to the workforce. The “Ontario Open for Business Act” promises to create economic opportunity by eliminating the “Red Tape” that supposedly hinders economic growth. Do you know what they mean by “Red Tape?” Regulations that protect the skills of workers. Labour laws which require employers to pay employees additional wages for overtime. Laws that protect our environment and our natural resources. Laws that govern a worker’s rights to safe work. Regular, hard-working Ontarians will not reap any benefit from this act. It will not save us tax dollars—other than we will be paying less income tax because we will have less earning potential. In recent weeks, Minister Thompson has made claims that she and the Ford Government want to support skilled trades in public education. How can students be both safe and successful in crowded shop classes with more than 30 students? This is a safety hazard! One teacher cannot supervise and teach this many students in this context and expect positive results. Students learn skilled trades through hands on experience. This is not possible in classrooms of this size. If Premier Ford believes so strongly about skilled trades, then why has he moved to dismantle the College of Trades? Why is he pushing to deregulate and cheapen the value of the work skilled tradespeople do? His proposed changes will reduce the earning potential of people who choose to enter this line of work, and those who are already working in it. Does this sound like opportunity to you? 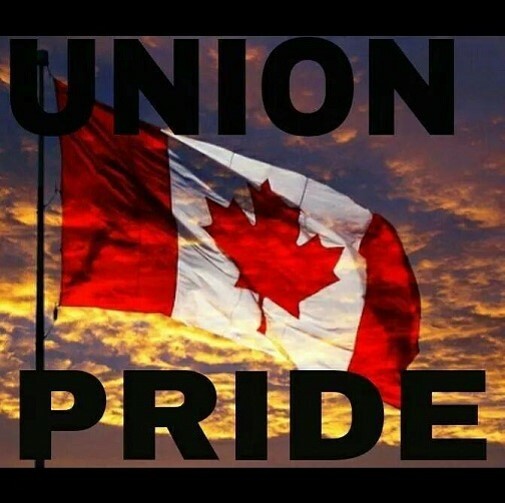 If Minister Thompson feels so strongly about job opportunities in skilled trades and blue-collar work in ridings like ours, then where was she when 350 miners and skilled trades workers were fighting for fairness, safety and pay equity on a picket line this past summer in Goderich? Instead of supporting her people–the ones she represents, she was supporting “the right to work” for the out of province workers that crossed their picket line for 12 weeks. Increasing class sizes in secondary schools and forcing students to learn online will not help students to build resilience. They only reason this government can claim that this move will prepare students for the jobs of tomorrow is because this government is expecting our students and our workforce to accept less—in the spirit of enhancing corporate welfare. The proposed changes will teach students lots about the workforce they are about to enter. It will teach them that inclusion and equality are frivolous ideals. It will teach them that there is no point in speaking up or advocating for themselves because the system is too big and too busy for them to matter. It will teach them that in group work, there is always a workhorse who gets little (or none) of the credit he/she deserves. It sends a message to kids that they don’t matter, that they’d better get used to it and that there is something wrong with them if they don’t find satisfaction in it. This government’s move to increase class sizes will NOT teach students new coping skills—it will force them into compliance by removing the supports that allow them to advocate for themselves. If you are an educator, a health care worker, a parent, a student or an employee in any sector of the Ontario economy, you need to pay attention to what is happening here. “Ontario Open for Business” and all its false positive rhetoric is like countdown before the starting pistol as Ontario fights to join the lead in the race to the bottom. We can choose not to participate in this race—but we need to do it collectively. Our children, our workforce and our quality of life depend on it. THIS IS WHAT RESILIENCY MEANS IN OUR ONTARIO. Not only do we deserve better, but we are all capable of fighting for it. Stand up, speak up or forever hold your peace. GOOD OPPORTUNITY FOR PEOPLE IN HANOVER TO GET OUT AND REMIND MoEd THOMPSON THAT HER BETRAYAL IS NOT GOING TO GO UNNOTICED. Just wanted to let you know tomorrow the BGCDSB is hosting their STEAM FAIR in Hanover at the P&H centre. MPP Lisa Thompson is supposed to be there at 9 to visit with the high school students before the elementary students arrive. This is what passes for a Minister’s Statement. This is what passes for a Minister’s Statement. MoEd Thompson is a sham and continues to be the face of the Dofo govt. A govt intent on turning back the clock. IF TEACHER’S UNIONS ENAGAGED IN SUPPORTING THE STUDENT DEMONSTRATIONS, IT IS AN ABSOLUTE OBLIGATION OF EVERY PARENT TO SAY THANK YOU. THANK YOU FOR TEACHERS WHO HAVE THE HEART AND SOUL TO LINE UP AND BE COUNTED AS EDUCATED OBJECTORS TO A REPUGNANT REGIME IN QUEEN’S PARK. “Today is a disappointing day for Ontario’s parents and students. On a day when we reached out to begin good-faith consultations with Ontario’s teachers, we instead are seeing Ontario teachers’ unions condoning a student walkout at schools across the province. Students at Owen Sound District Secondary School chanted “Cuts hurt kids” and held up signs with slogans like “Students are under attack” after walking out of class Thursday afternoon to protest proposed government cuts and changes to Ontario’s education system. The 45-minute “Students Say No” walkout at OSDSS was one of roughly 700 such events that took place at the same time at elementary and high schools throughout Ontario. Locally, the demonstrations happened at about nine Bluewater and Bruce Grey Catholic District board schools. “We have organized this today as an opportunity for students who oppose the cuts to education proposed by Ford’s government to come out and get loud and stay respectful, but to show our side of things and to show that we, the students, do have a voice, are paying attention and understand what this can mean for us,” said Mathea Treslan, an organizer of the OSDSS walkout. She said her biggest concern is the plan, announced in mid-March by Education Minister Lisa Thompson, to increase class sizes from an average of 22 to 28 students in high schools and 24 to 25 pupils in grades 4 to 8. “That would end up creating a teacher job loss, so we’re looking at 40 to 50 teachers for our board, and that would be done through attrition,” she said. “So teachers wouldn’t be replaced after they retire, which can create program loss. Especially at our school, we have a great diversity of specialized programs – we have shop classes, art classes – and these could be lost. Students were also protesting proposals that would require high school students to take e-learning courses in order to graduate, potential teacher layoffs and cuts to autism, OSAP and other programs. About 400 to 500 OSDSS students left classes at 1:15 p.m. to participate in the rally, which ended at 2 p.m. They were joined about halfway through by students from nearly Hillcrest Elementary School, who walked over as a group. About 125 students also walked out at Owen Sound’s other secondary school – St. Mary’s High School – across town. Students waved signs opposing education cuts at passing motorists. More than 100 students at John Diefenbaker Senior School in Hanover participated in a rally there. Walkouts were also held in Walkerton – at both Sacred Heart High School and Walkerton District – and in Port Elgin at Saugeen District Secondary School. OSDSS Grade 12 student Reid Locking said the change that most concerns him is the proposed new requirement for each high school student, starting in 2020-21, to take one online credit per year in order to graduate. “That’s not how most students at our school learn. They need classes, they need teachers that are there to support them. Kids that are in e-learning programs are less likely to pass because it’s to their own devices to pass it and that’s just not fair to the students,” he said. A #StudentsSayNo provincial organizing team, made up of a group of high school students, co-ordinated the walkout and created guides for local organizers, which promoted their individual school demonstrations via Instagram. Treslan said about 10 students organized the OSDSS walkout. Students were also protesting proposed cuts to the Ontario Autism Program and Ontario Student Assistance Program (OSAP) – including the end of free tuition for students in low-income families – as well as a cell phone ban in classrooms. Organizers say the ban would deprive students of a necessary learning tool, while the education ministry has said cellphones in the classroom are too often a distraction from learning. Thompson has said the proposed class size changes would put Ontario more in line with other jurisdictions in Canada. She said the changes will save the province $250 million in the first year, but will not result in teacher layoffs. However, teachers’ unions have said the changes would be devastating to the province’s education system and result in the loss of thousands of front-line teaching positions. The People for Education says changes proposed by the province would result in a nearly $1 billion cut to education funding and 7,200 teaching positions. Thompson has said proposed changes to education also include the implementation of stronger math, STEM (science, technology, engineering and math) and financial literacy curricula and improved skilled trades opportunities. She said the e-learning courses will allow students to “put their best foot forward” and is a way to embrace technology. “We will make sure our students are leaving school with the skills they need to build good lives, families and careers right here in Ontario, while ensuring the system is both fiscally sustainable and respectful of parents,” she said in a March 15 statement. Thompson has said the province is consulting on the proposed education system changes until the end of May. She said the consultation process is the proper forum for people to voice their concerns as opposed to the provincial student walkout. Constituency office: Unit 2, 807 Queen St., Kincardine, ON N2Z 2Y2. We’ll hear from a few speakers, hand out leaflets and deliver a message to Minister Thompson emphasizing the Equal Pay Coalition points below. On Equal Pay Day 2019, supporters will wear red and take a message across the province that its time to Show Us the Money and close the gender pay gap. Equal Pay Day marks the day in April that, on average, a woman must work into the new year to earn what a man earns in 12 months. On average that is 3.5 months. On Equal Pay Day local groups will pay a visit to eight key Ministers in the Ontario government who have a direct role in closing the gender pay gap. Implement the Pay Transparency Act no later than May 1, 2019 to enforce equal pay. Keep the $2 per hour Provincial Wage Enhancement Grant for Registered Early Childhood Educators and child care workers working in licensed child care. No plans have been announced by the government to close the gender pay gap. On Equal Pay Day, supporters will visit MPP constituency offices to demand to see an action plan, holding community leaflets to raise awareness about the gender pay gap and government inaction.